Monarch offspring have a very unique look. Commotion is a great example of this Monarch look. Commotion has proven himself to be an exceptional, charismatic show horse like his sire. 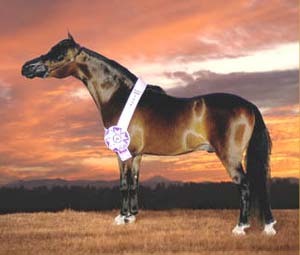 He is 2006 World Champion Junior Stallion. 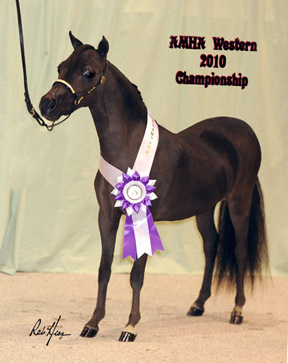 At 32 inches Commotion is an outstanding example of the modern style miniature horse with correct proportion, long neck, big strided motion and expression galore!. He gives one the impression of being taller than he actually is because of his outstanding conformation traits and high neck-shoulder set. We are thrilled to add this one of a kind stallion to the outstanding sires of Scott Creek Farm, continuing to lead the trend for the future. His foal crops have proven his breeding potential by inheriting his type, elegance, movement and dynamic personality. 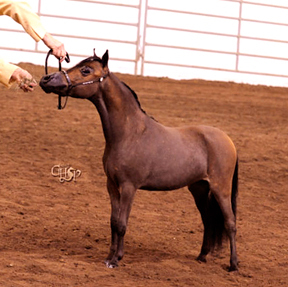 His concentrated genetics insures that most of his offspring will mature within the 34 inch maximum height for AMHA horses. 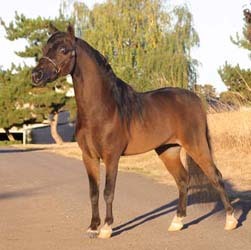 Commotion has international winners on several continents as well as the USA. 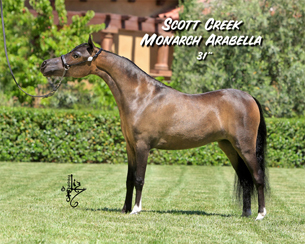 Please feel free to Contact Us regarding Commotion offspring for sale or expected.